After 34 years as concertmaster of the New York Philharmonic, Glenn Dicterow will be stepping down at the end of this season. 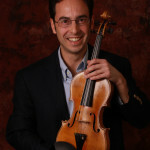 A native of Southern California, Dicterow has accepted a position as professor of violin at the University of Southern California’s Thornton School of Music. 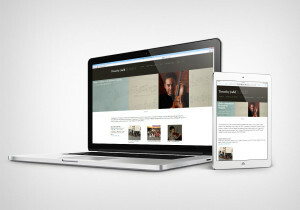 The New York Philharmonic has been honoring his service throughout the season. As Dicterow explains, the concertmaster’s varied role goes beyond playing occasional orchestral violin solos. Within the violin section, the concertmaster determines bowings and helps to establish a uniform style of playing, based on the conductor’s musical vision. For section players, the peripheral sightline to the concertmaster is an essential part of playing cohesively. Additionally, concertmasters serve as an important link between the conductor and the orchestra. Under the best circumstances, a mysterious and instantaneous transfer of energy occurs between the conductor and the orchestra and between sections of the orchestra, resulting in chamber music on a large scale. From my experience, the most successful concertmasters leave their egos at the door, are professional in demeanor, lead with a clear and unifying sense of rhythm, and foster an atmosphere of teamwork, mutual respect and cooperation. Glenn Dicterow’s retirement comes during a period of unusually high turnover for the New York Philharmonic. A much needed renovation of Avery Fisher Hall also promises to bring significant change in the next few years. The lifeblood of any successful organization seems to be a healthy balance between tradition and renewal. Great conductors from Bernstein and Toscanini to Gustav Mahler have left their imprint on the sound of the New York Philharmonic over time. It will be exciting to see where the organization goes from here. Here are the second, third and fourth movements. 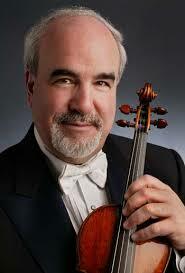 I found Glenn Dicterow’s explanation of the role of the concertmaster very interesting as well as enlightening. Not only his amazing violin performance but also his generous character with the New York Philharmonic!! !